Do you know what your customers are saying about you online? If not, it’s time to Google your business and check. Online reviews on platforms like Google, Yelp and Facebook (there are many more!) have the power to make or break a business and make a major impact on whether consumers decide to do business with you. In fact, a recent study from Pew Research Center found that around 8-in-10 Americans check online reviews when buying something for the first time. And 40% of Americans check reviews almost religiously before making a purchase. The importance of online reviews is on an upward path and these reviews can not only boost the conversation about your business, but they can also bring in that extra revenue that your business will always benefit from. People have long relied on recommendations from their peers. That’s because people simply trust their peers more than any advertisement. 88% of customers will trust online reviews as much, or more, than word of mouth. Online reviews make that ridiculously easy. Consumers see reviews every time they search whether they are looking up your specific business, or if your business gets populated to the top of their search results because you are offering a service that they are looking for. 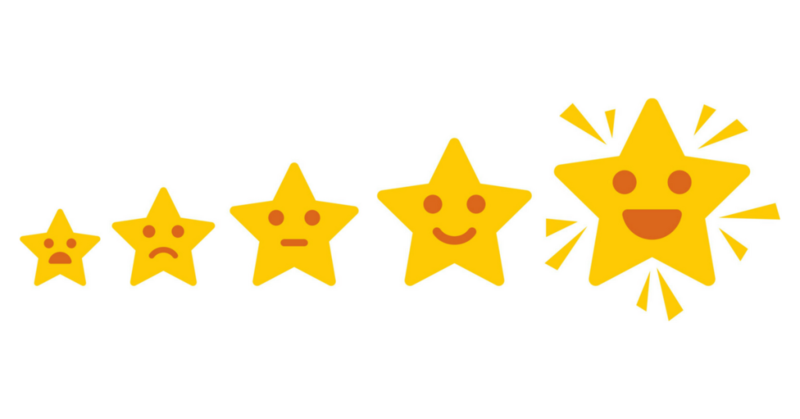 The more reviews you have, the more likely it is that your business will intrigue a consumer. A whopping 90% of customers read the online reviews before ever stepping foot into an establishment and making a purchase. Another study found that 67.7% of consumers say at least half of their searches result in a visit to a local business. But what about negative reviews? Fear not. It goes without saying that positive reviews are necessary and welcomed with open arms because 92% of people will use a local business if it has 4 stars or higher. However, it is important to note that negative reviews are also very important. In a weird twist of fate, they can even help (sort of). See, if all the reviews were perfect all the time, it begins to look as if they were forced or made up. It’s okay to have negative feedback as well so that you as a business owner have a better idea where you can improve your services. Negative reviews can also show to address the problem and fix it so the same thing does not happen twice. The worst thing you can do is blame the customer or engage in argument. It’s unproductive and only solidifies what the disgruntled customer is saying. You always want to acknowledge their concern – often that’s all they really want. Paying attention to your negative reviews can go a long way. Failing to address concerns publicly can come across as your business doesn’t care. It’s important to address the love your business gets, too! Usually, simply thanking them does the trick. Getting these reviews can be as simple as asking customers to review your business, products or services. There is about a 70% chance that when asked, a customer will happily leave an honest review about your business. Customers trust customers and by asking them to give their open honest opinions, it makes them feel like they are welcomed clientele.